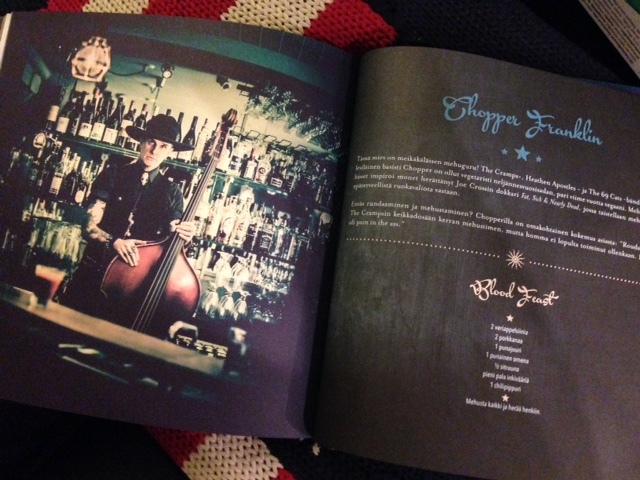 You can order a signed copy of the book by clicking HERE. 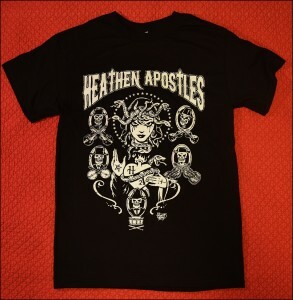 The brand new Vince Ray Heathen Apostles T Shirt is available now, get this great design of a snake-haired Mather surrounded by the skull-headed band before they run out! You also get a free download, check it out HERE. 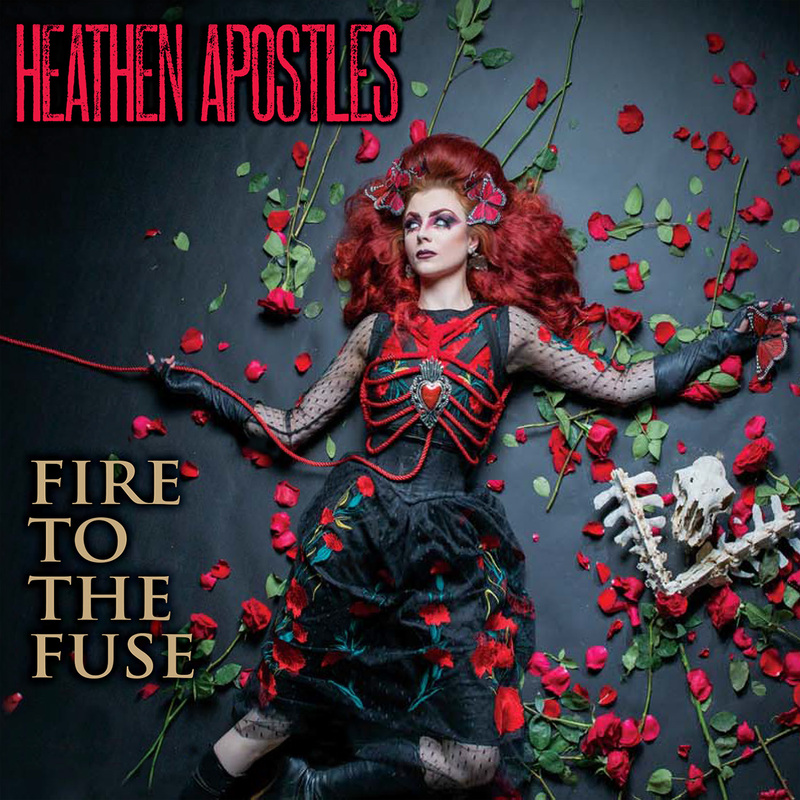 The cover shoot for the upcoming Heathen Apostles album Fire To The Fuse has wrapped, it was shot by David Moore at Wonderland Studios OC. Fire To The Fuse will be released on Halloween by Ratchet Blade Records. 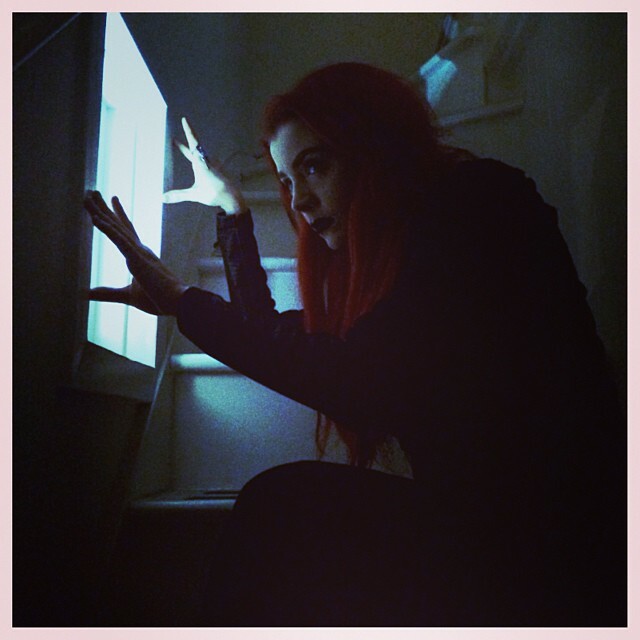 Here are some bts photos by makeup artist Ashley Gannon. 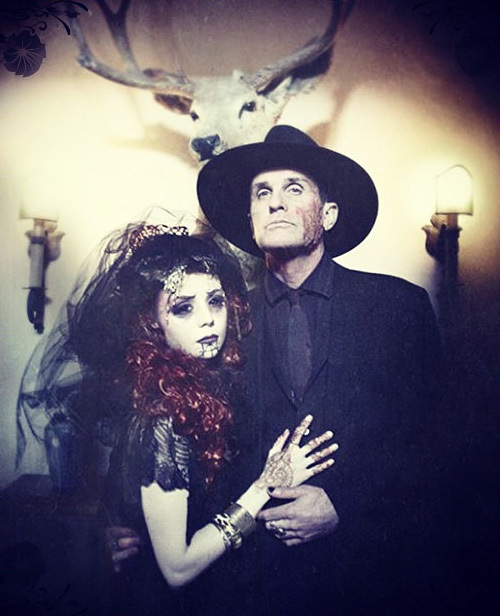 Mather and Chopper will be playing some special shows as a duo this Fall, they shot some videos to help promote them. 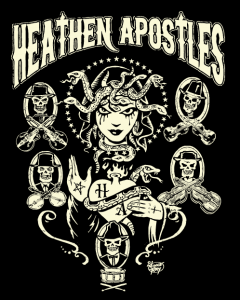 Check them out HERE and if you are interested in booking them email them at info@heathenapostles.com. Heathen Apostles Duo – Without A Trace from Heathen Apostles on Vimeo. 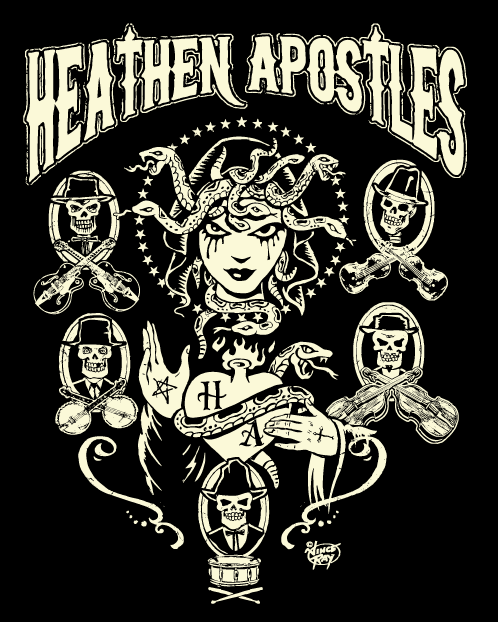 World famous graphic artist Vince Ray has finished this insane design for the Heathen Apostles, T shirts, posters and stickers will be going into production soon! You can see more of his great work HERE. 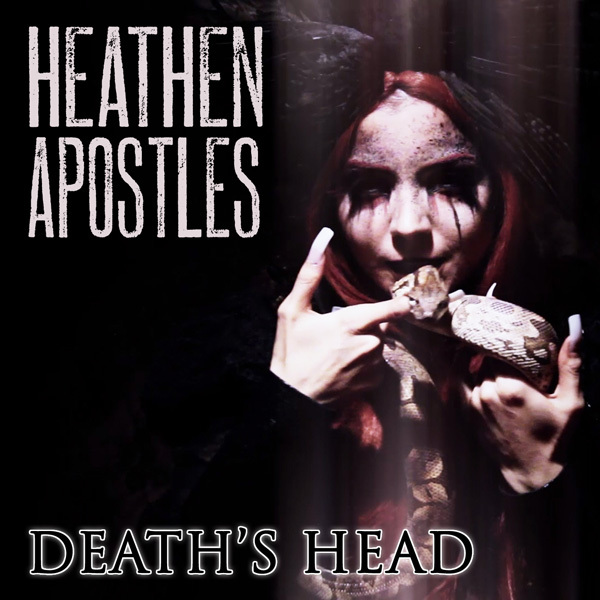 Here are some behind-the-scenes photos from the Heathen Apostles video for the upcoming single Fool’s Gold (both the single and video are due 6/16/15 on Ratchet Blade Records), they were shot by the video’s director of photography Larry Drayton. Chopper is back from Europe (where he was touring with the 69 Cats) so post production and editing has begun. 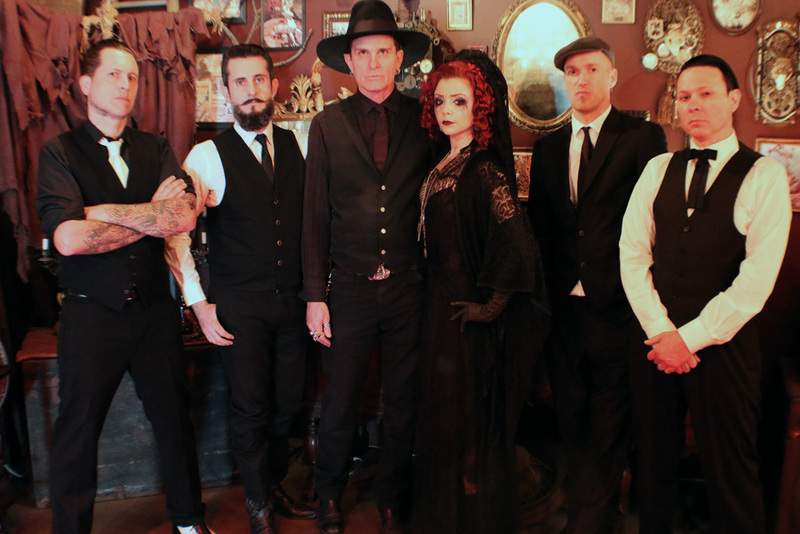 The Heathen Apostles continued shooting the music video for the upcoming Fool’s Gold single this past weekend at South Bay Customs in El Segundo, Ca. 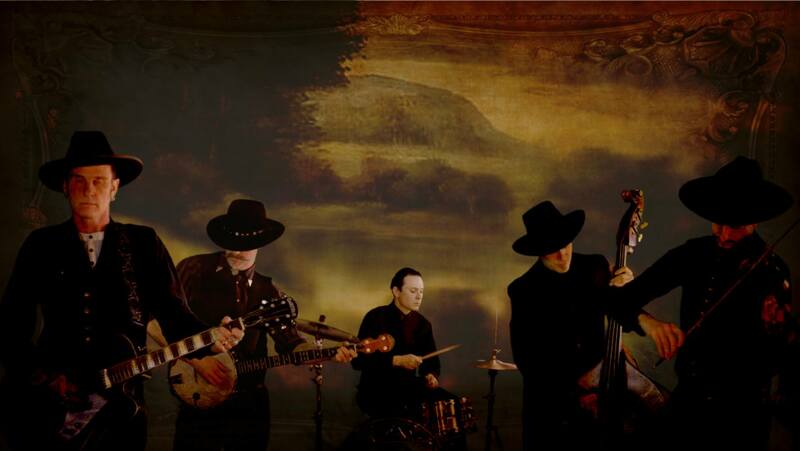 The live performance footage has been completed, special thanks goes out to Michael and Robbin at SBC, Daniel DeLeon (of Resurex) for shooting the footage and to our brother Timbo Gruse (of Speedbuggy) for manning the mandolin. Shooting continues this weekend on location in Highland Park with Lawrence Drayton behind the camera. Below are some stills from this weekend’s shoot. 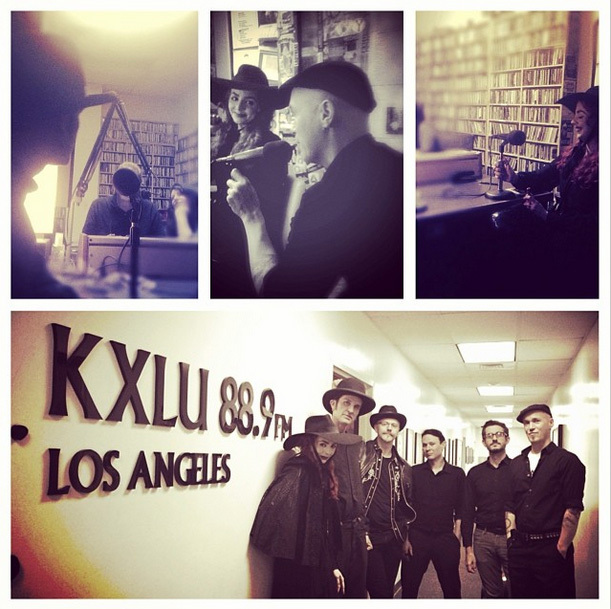 To celebrate and promote their new single and video Death’s Head, the Heathen Apostles will be performing live on KXLU 88.9 this Friday night (Feb. 20th) at 11pm PST on Stella Kxlu‘s Stray Pop show. 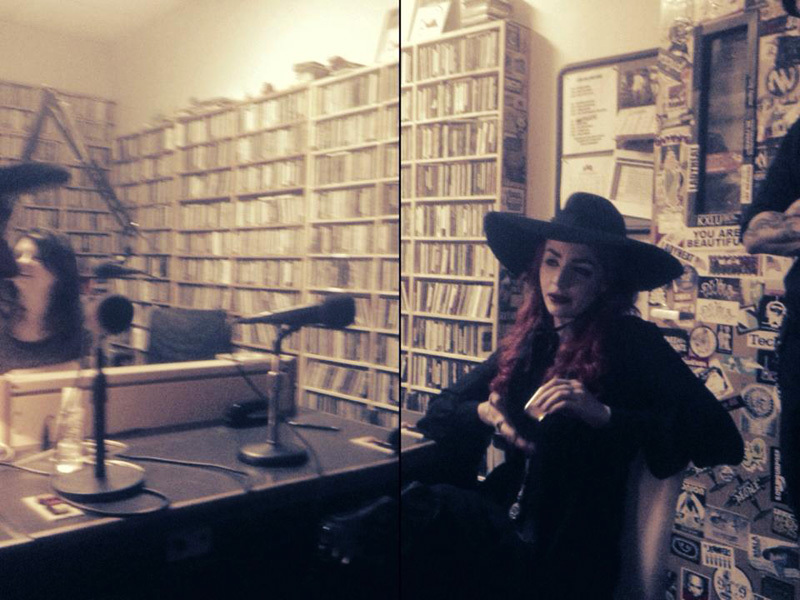 For those outside the Los Angeles area it will also be steaming live at the KXLU website: http://www.kxlu.com/ by clicking the Listen Now! button during the show. 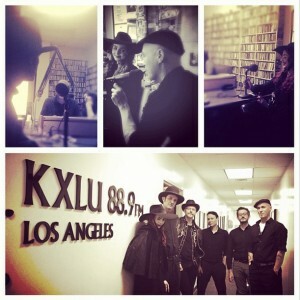 You can also call in and talk to the band at 310-338-5958. Ratchet Blade Records has released the cover art to the upcoming Death’s Head single, out digitally this Friday the 13th on iTunes, Amazon.mp3 etc. 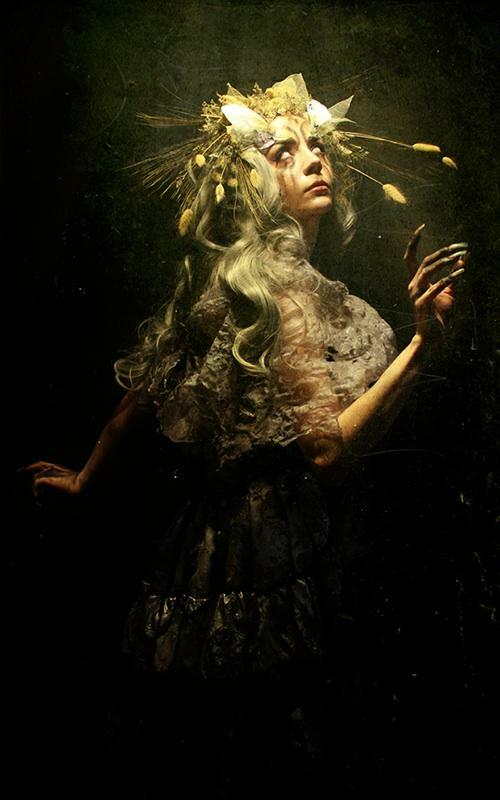 The video will debut then too, it was wonderfully shot by Lawrence Drayton, amazing makeup by Alexia Petre, awesome snakes provided by Peggy Rivera. 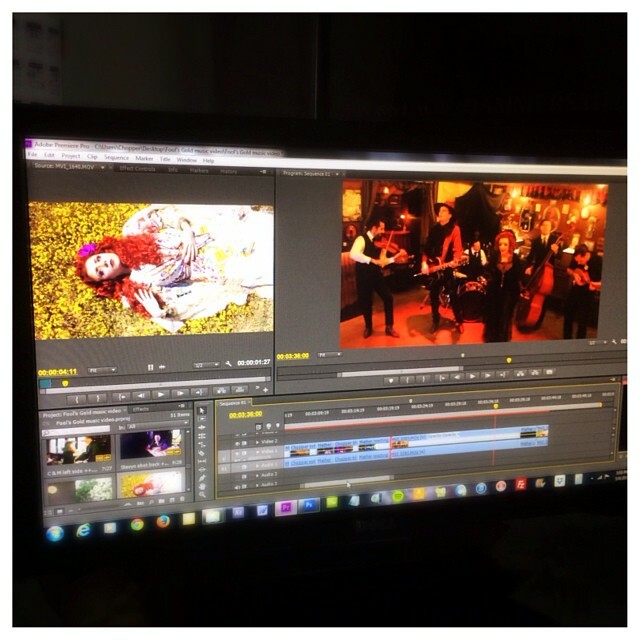 The Heathen Apostles have begun editing the music video for the upcoming Death’s Head video. Here’s a peak at the process, the single and video will be released on Friday the 13th of February on Ratchet Blade Records. 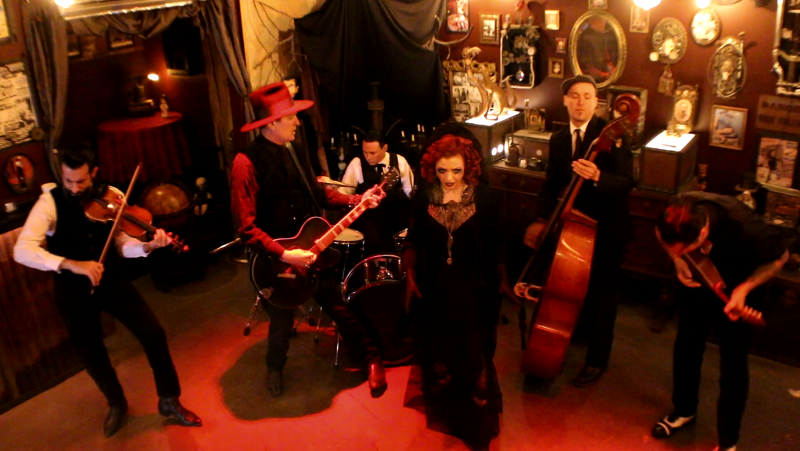 Happy New Year all, the band has just wrapped shooting for the teaser video for the next single Death’s Head, scheduled for release Friday the 13th of February. The 30 second short will now be edited and released in the next week or so, and the full length music video shoot, rescheduled due to flash flooding in the Southern California area, will commence shooting this weekend in Lancaster, California. 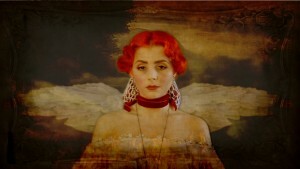 Below is a still of Mather from the shoot. 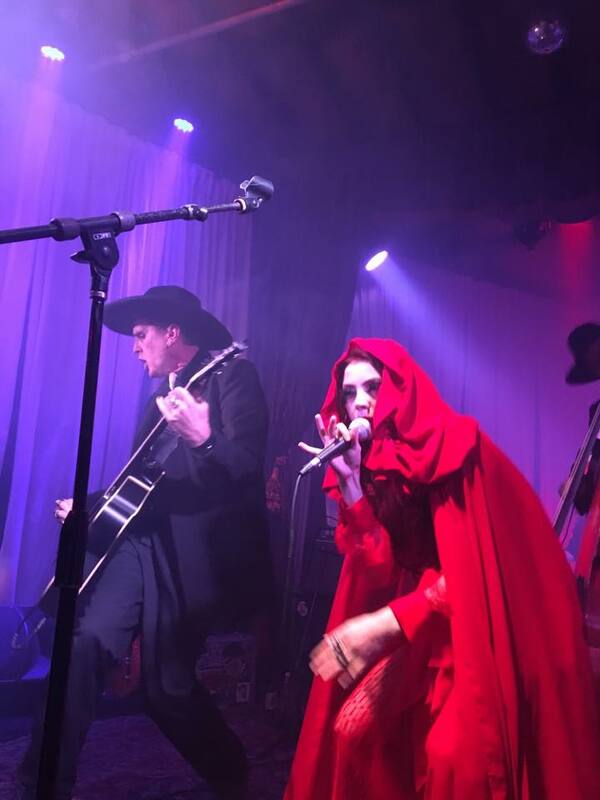 The Heathen Halloween is a Wrap! 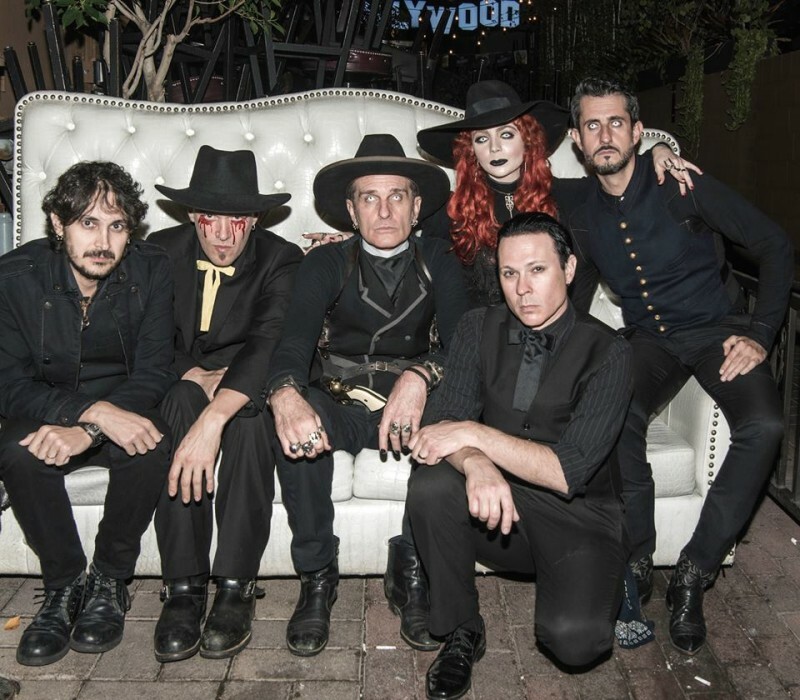 The Heathen Apostles Halloween shows went insanely well, thanks to the Queen Mary’s Dark Harbor, Harvard & Stone w/ DJ Short Shorts, Jonny Coffin & Mosh and John at St. Felix and Dave at Cafe NELA. The band will be taking time off to record their new single Death’s Head, and they’ll be shooting a video for it’s release. Check back for further details. 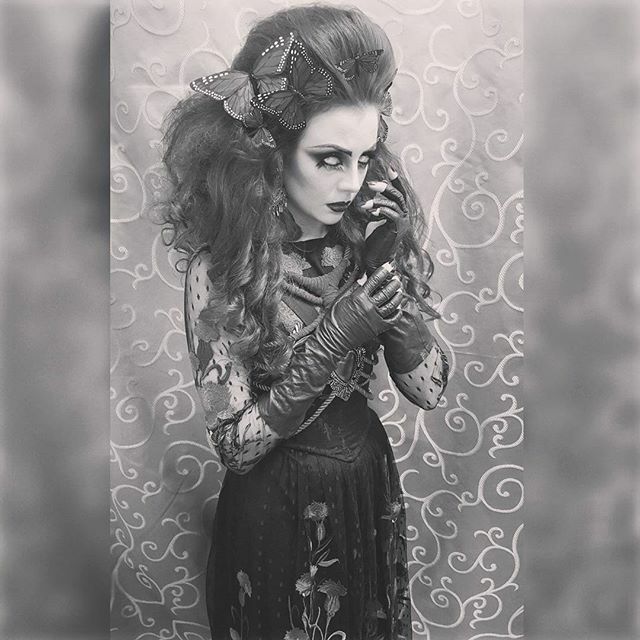 November 4, 2014 | Categories: News | Comments Off on The Heathen Halloween is a Wrap! 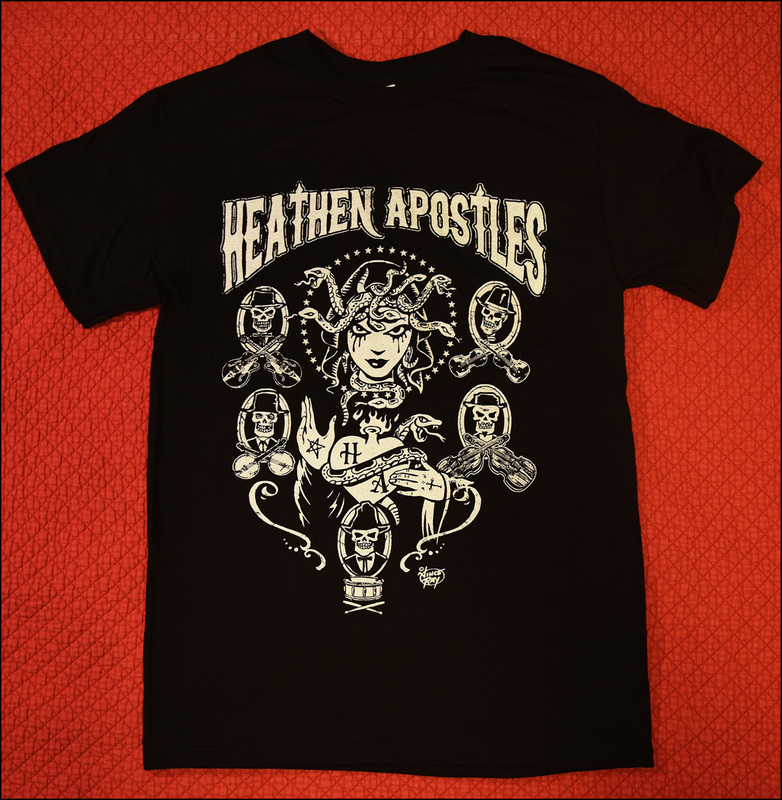 And the winner of our first Heathen giveaway is….ALTA DEKOVEN! Thanks to all who entered, and don’t be discouraged if you didn’t win this time- there will definitely be more giveaways to come as our new merch rolls out! To be eligible to win you need to like our Facebook page and we’ll announce the next giveaway, click HERE to visit the page. Billy Clift has begun final editing on the Heathen Apostles’ video for their ballad Before You Go. 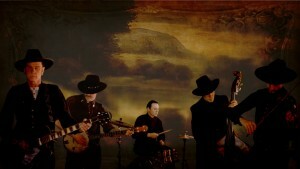 It will be the first video from their latest release, the Without A Trace EP. Click HERE to preview it. 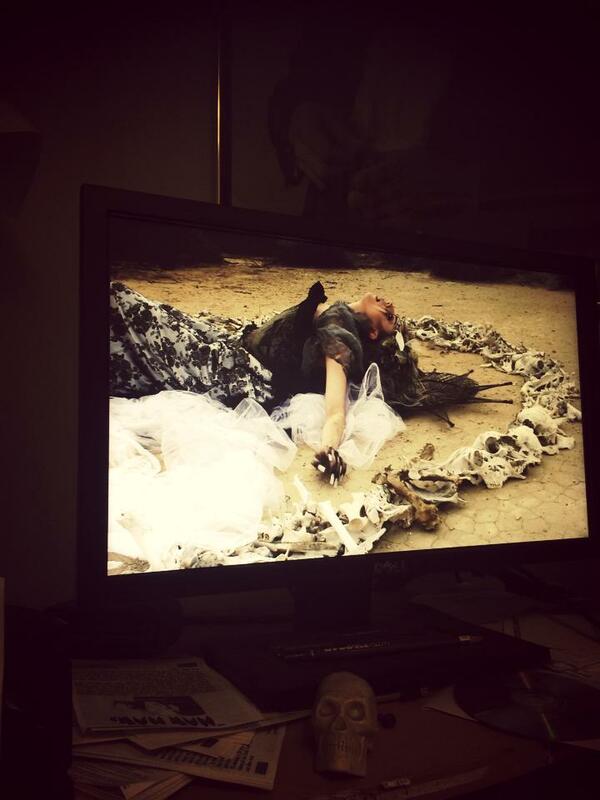 Here are some production shots Billy has sent over. 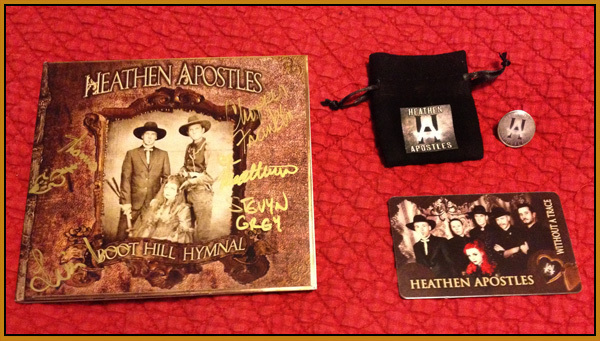 You can now get the Heathen Apostles Bundle which includes a brand-new, autographed Heathen Apostles CD Boot Hill Hymnal. You will also receive a snazzy download card of their new 2014 3-song EP Without A Trace. 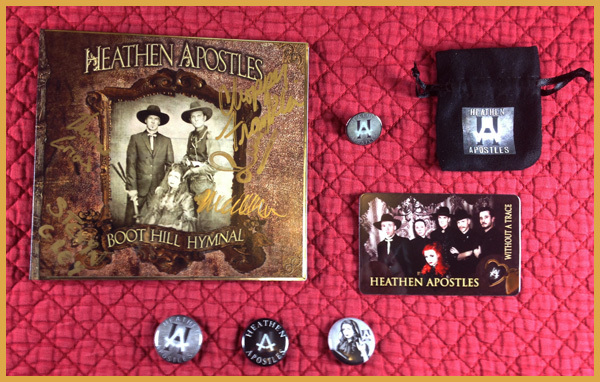 Also included is this classic Heathen Apostles Pin & Velvet Logo Bag, these are brand new so you’ll be among the first to have one! Click HERE for more info. The band has wrapped the Before You Go video shoot with director Billy Clift, here is a still from the set, expect more shots and a release date soon. 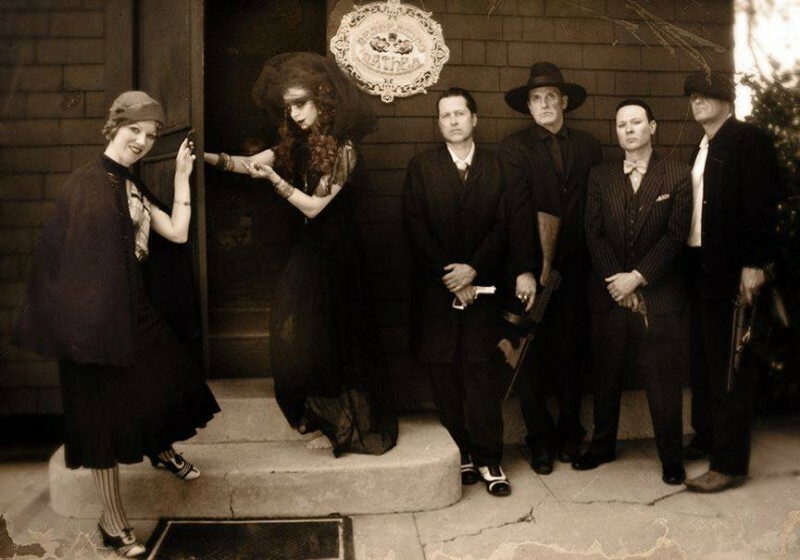 The Heathen Apostles are in pre-production for Before You Go, the debut video from the Without A Trace EP. 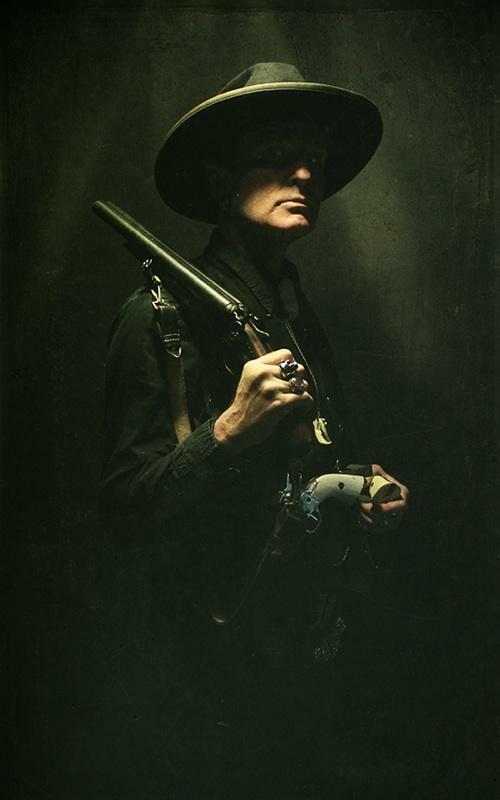 Directing the video will be Billy Clift, who has previously worked with the band on a promo video for their previous release, 2013’s Boot Hill Hymal. You can see more of Billy’s work HERE. The video should be ready for a Summer debut. For reasons beyond the band’s control the April 9th show at the Obscure Lounge has been cancelled. The next show is the Hippy Killer Hoedown in Winchester, Ca. on Saturday April 12th. An announcement about the festival will come shortly. 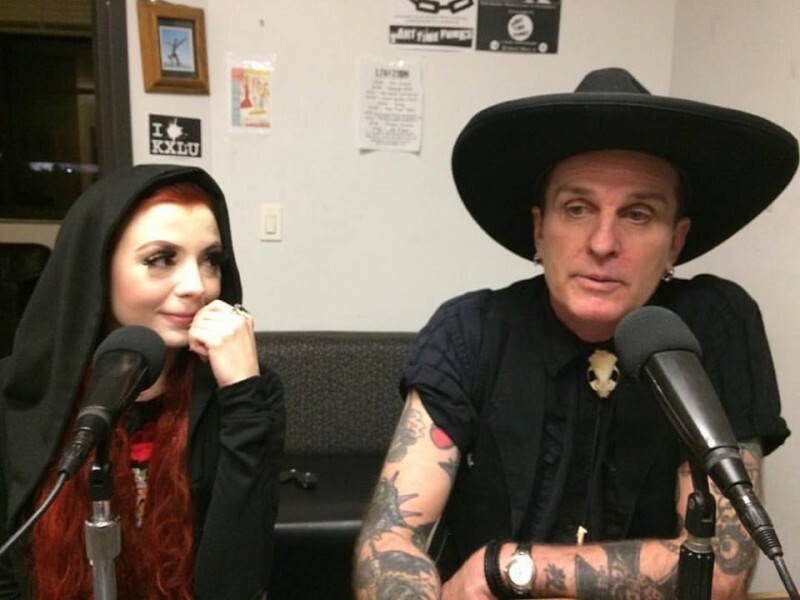 In case you missed the Ash Wednesday appearance of the Heathen Apostles on 88.9 KXLU you can now listen to it in it’s entirety. 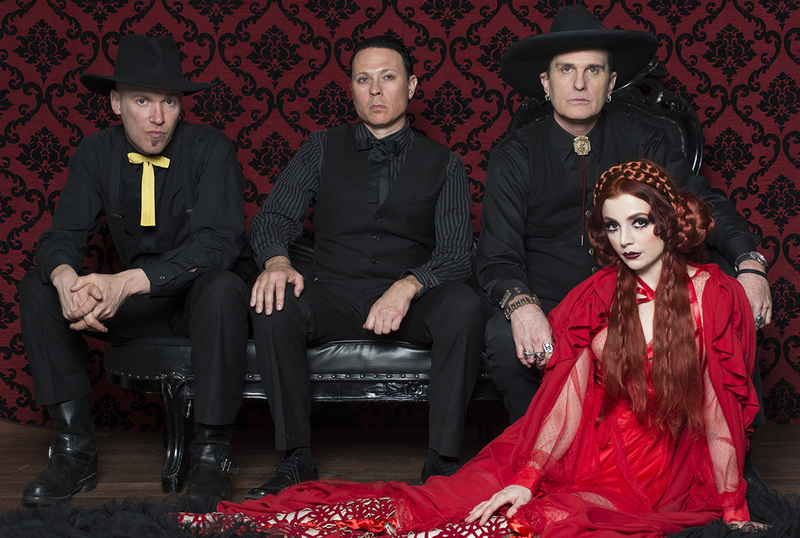 They play a short set then talk to hosts Robert Douglas and Hilary Russel about the formation of the band, their first album Boot Hill Hymnal and the recording of the new Without A Trace EP. Click HERE to listen, it will begin playing automatically.